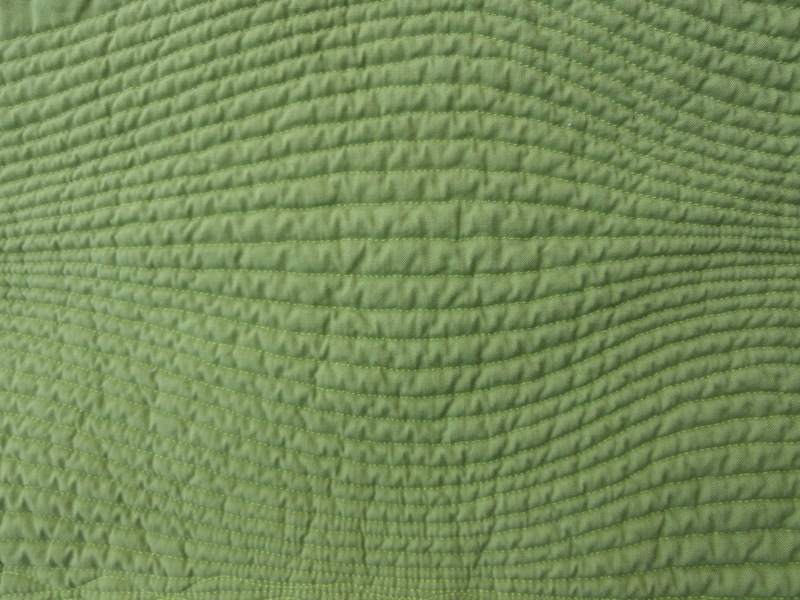 Tip #1 : Ikea is a great place to buy quilt backing!!! I went to Ikea the other day to buy some backing fabric for a couple of quilts. 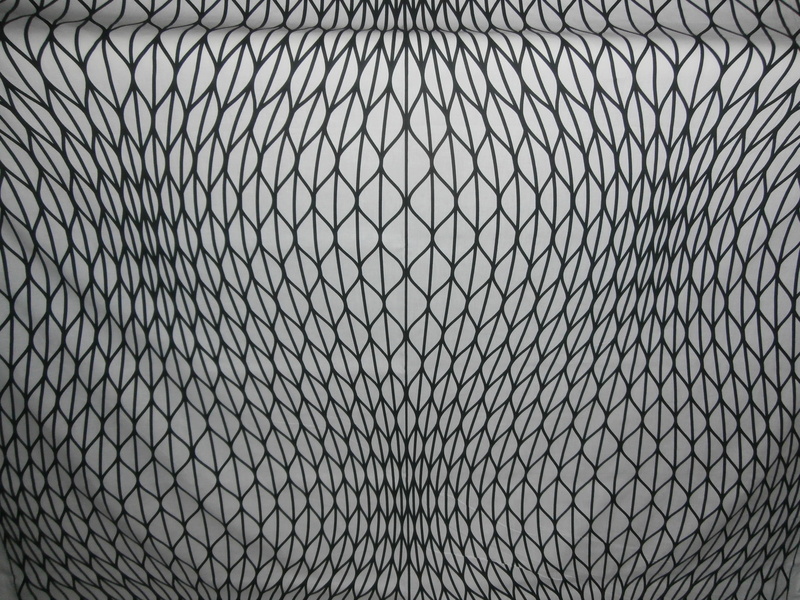 I went knowing that I wanted to get this fabric, for sure, and wanted to check out a couple of others they had. So I bought all of this that they had (you know how quilters are). When I saw this fabric online, I didn’t realize the scale was so big. 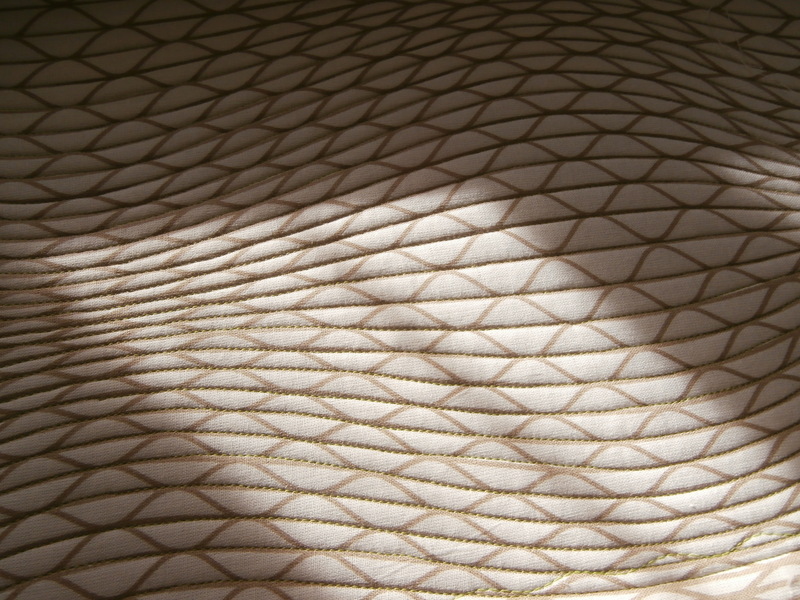 So when I saw it in person, I liked it even more, and immediately thought… that would be an awesome quilting pattern! I didn’t really find anything else in the fabric dept. that was going to work …….. but, when I came to the bedding dept. I sure did. 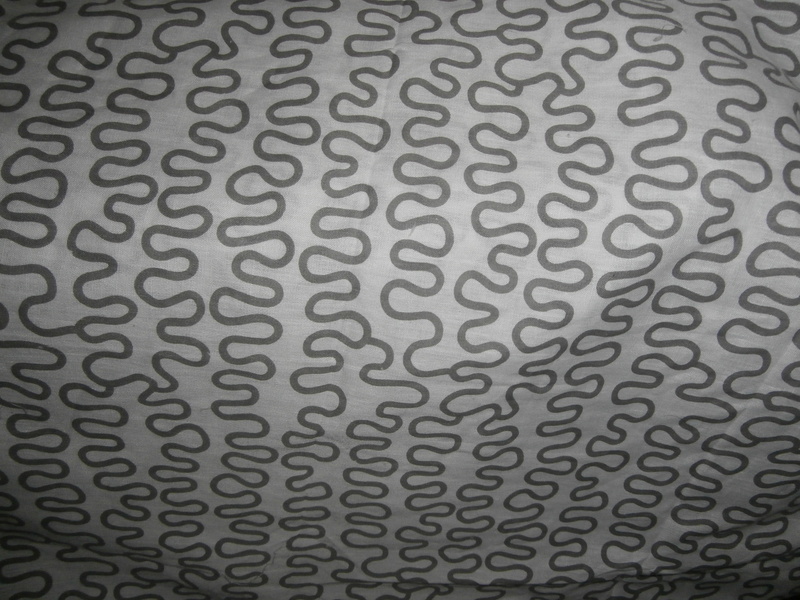 The fabric in some of their duvet cover sets was perfect. 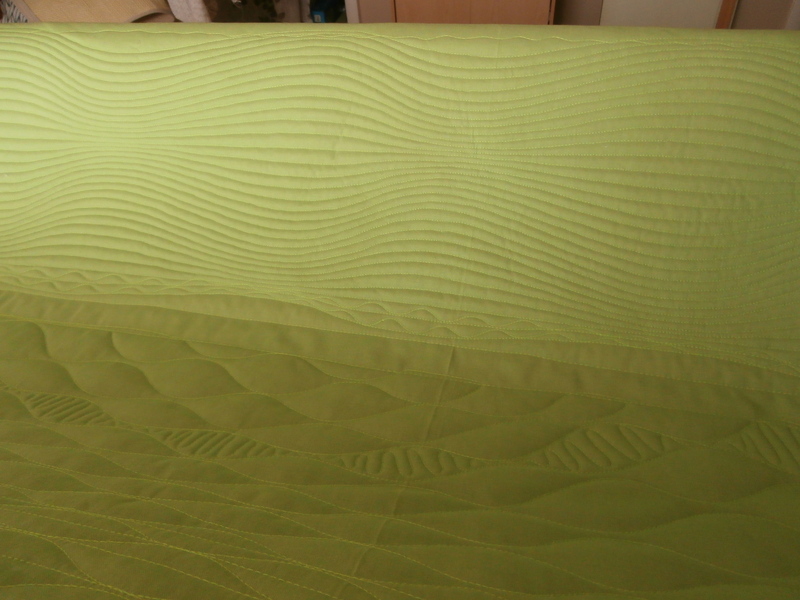 So, I checked out how the display duvets were constructed, and realized I could just buy one, take out the seams, and have the backing fabric for my quilt. The only thing that kept me from filling my cart was the fact that a lot of them had a very low (105 and 120) thread count. I decided to buy only one and see if the weave closed up any once I washed and dried it on hot (it did tighten up quite a bit, but it definitely isn’t like Kona quality or anything, lol). You really do need to read the labels, because they went from ones with a really low thread count, to a fairly high thread count (which I didn’t want either). The other thing you want to look at is the content, most were cotton, but some were cotton/poly blend. I did buy one that has a large gray stipple pattern on it, that is a cotton/poly blend … but, I’m ok with that. I know from experience that it will quilt fine, and will end up outlasting the fabrics on the front of the quilt (AND it works perfect for a quilt that I need a backing for, lol). Oh, and even if you don’t like any of the prints, they also have them in quite a few solids as well. When I got home, I realized that they were both sewn differently, the stipple pattern one was only sewn on one side and the bottom, so after deconstructing (I just snipped a couple of threads, and then was able to just rip the seams open without damaging the fabric at all, it literally took like 2 minutes to do), I threw them in the washer/dryer, and then measured them to see how much yardage I ended up with. The one with a side and bottom seam when opened up gave me an 88″ x 128″ piece, so I got 3.5 yds of 88″ wide backing fabric for 2.85 a yard (it was 9.99 for a twin set). The other one was sewn only on the two sides, and when opened up gave me a 64″ x 168″ piece, so I got 4.6 yds of 64″ wide fabric for 3.26 a yard (this one was 14.99 for the twin set). 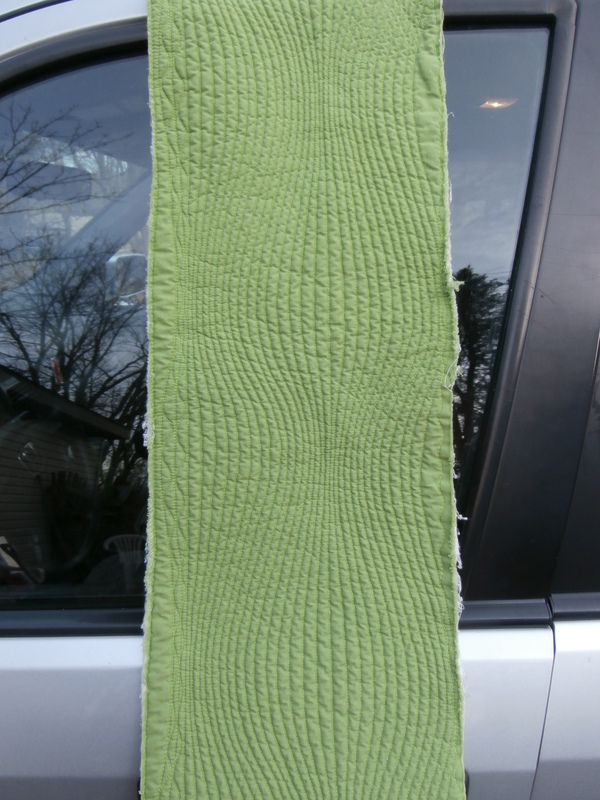 Plus, I got a couple of pillowcases as a bonus …… they will be great for keeping the quilts in when they are done. 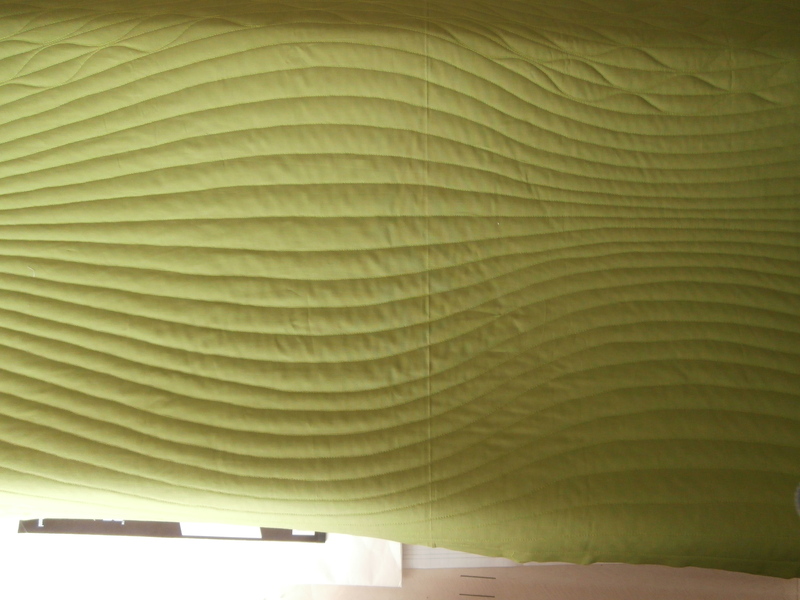 I know this is nothing new, everyone has heard about quilting the designs on your backing fabric to create the allover quilting patterns on the front of your quilt. But, I just can’t believe how cool these look! 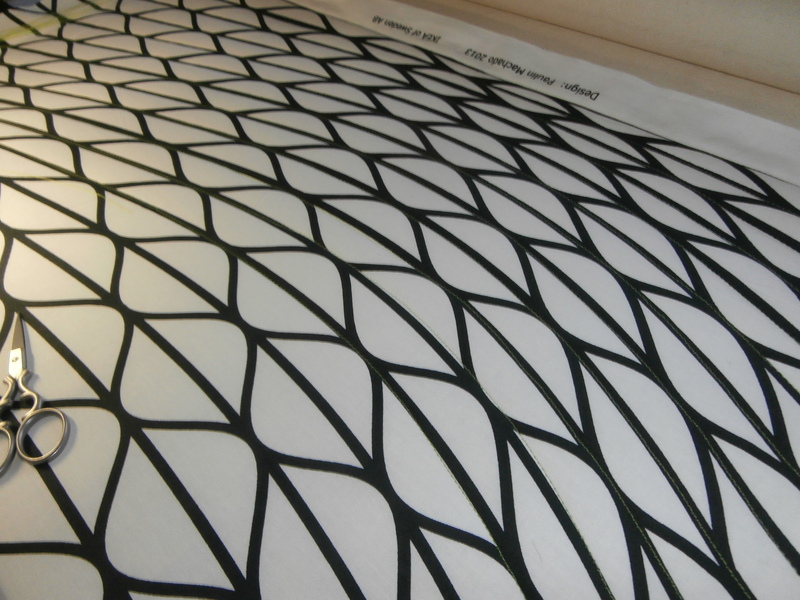 And perfect for modern quilts! I just had to share. So what you want to do, if you have a longarm, is just load your quilt/fabric top where the backing would normally go, and load the backing/print fabric on the top so you can use it as a stitching pattern. 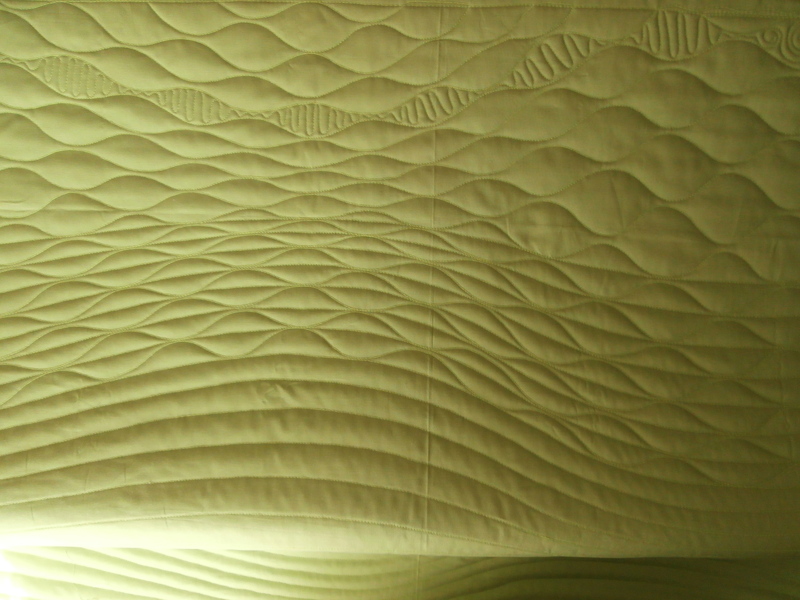 If you quilt on a domestic machine, you would just baste your quilt layers as you normally do, but then quilt it with the backing side up. I started by trying the black and white yardage that I bought: For both samples I used cotton batting, knowing that I wanted to wash it afterwards to get lots of crinkly texture. I just simply stitched along the long curvy lines, then I tried doing all of the lines printed, as well as what would happen if you decided to add some designs in between the lines, etc. I like just the long wavy lines best myself. I really like the larger one, but I LOVE the smaller version. 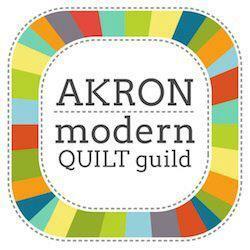 I can’t wait to try this on a full size quilt! LOVE these designs! So inspiring; you are so talented! 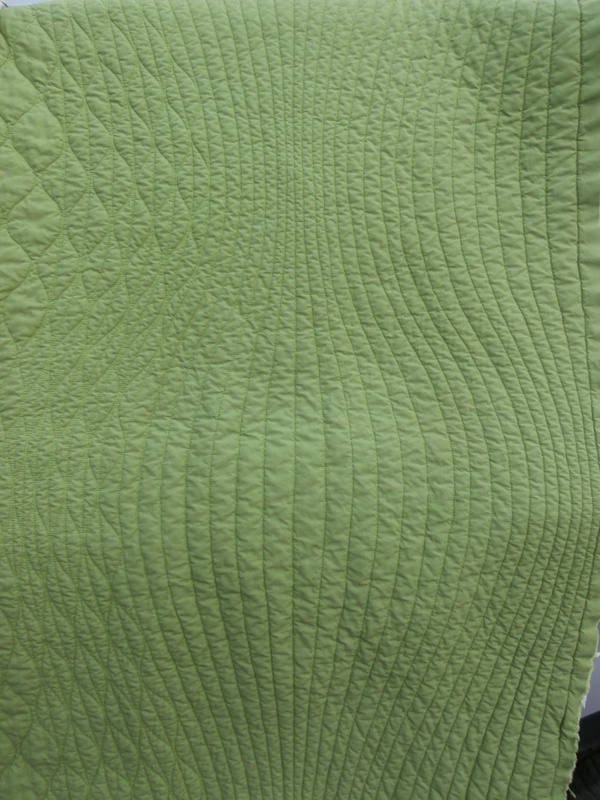 While not new to longarming, I am quite new to the modern aspect of quilting, just hopped on this train about six months ago and I’m oh so addicted! BTW, hello neighbor, from New Brighton here! Hi neighbor! Thanks! 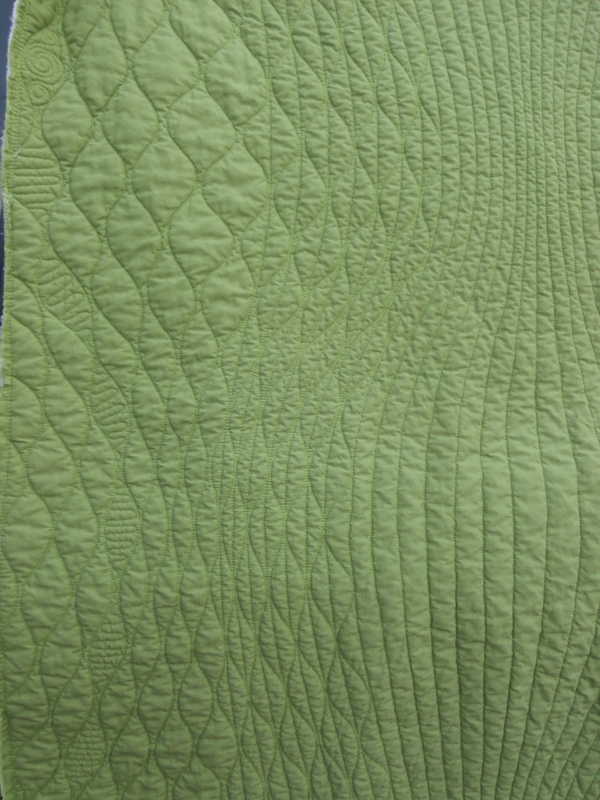 I know, modern quilting is addictive, lol. What a terrific idea! I just purchased a used longarm and need to practice in a cheap way. I was headed to Ikea for storage anyway, now I’ll look in the fabrics!